When I began blogging in 2006, the blog title I settled on, “Four Scores and Seven Films Ago,” captured my love of three elements: instrumental film scores, movies, and American history—with an obvious nod to Abraham Lincoln. Since Lincoln is one of my favorite American presidents, I ecstatically welcomed the rumors of an upcoming film about him. Harrison Ford searching for Lincoln’s assassin? Heck, yes! Of course, the movie that actually made it to theaters varied drastically from the initial rumors that got me excited. Nevertheless, a Spielberg-directed effort appeared worthy of attention. Using the review format I developed last year, here are my thoughts. Objectionable content is down to a bare minimum. The most violent aspects of the film are the opening battle sequence (which, while short, is still grisly) and a scene involving the disposal of several amputated limbs. Regrettably, a couple instances of brief and strong profanity litter the film—something which, in my opinion, could have been jettisoned without losing any dramatic impact. Steven Spielberg is a masterful filmmaker. He has had his duds, but Lincoln stands more on the “masterful” end of the spectrum. It was probably a wise move to focus the story on a small section of Lincoln’s life, rather than attempting to be a comprehensive biopic. In fact, with the focus being almost exclusively on Lincoln’s efforts to pass one piece of legislation through the House, the film could have been titled something more appropriate. However, Lincoln was probably a more marketable name than something like The Thirteenth Amendment. The film’s cast does an excellent job in bringing historical characters to life. As might be expected, Daniel Day-Lewis stands head and shoulders above everyone else—both literally and figuratively—as President Lincoln. While certain aspects of the story are more engaging than others, there is no denying the solid performances across the board. Sometimes a solid work of art still leaves me emotionally detached. Such was the case for the first third or so of the story, for the simple reason that I had trouble figuring out what the film was supposed to be about. And because several scenes with Lincoln’s family didn’t seem to propel the story forward, they left me unaffected. Nevertheless, as the narrative became more focused, my interest continually grew. The political maneuvering involved in passing the Thirteenth Amendment made for some engaging drama. The bitter antagonism between the pro-slavery Democrats and the pro-abolition Republicans was electrifyingly palpable. It served to remind me that our current political climate, while far from cordial, is still less hostile than it was in Lincoln’s time. Our public discourse may not be civil, but this is no Civil War. 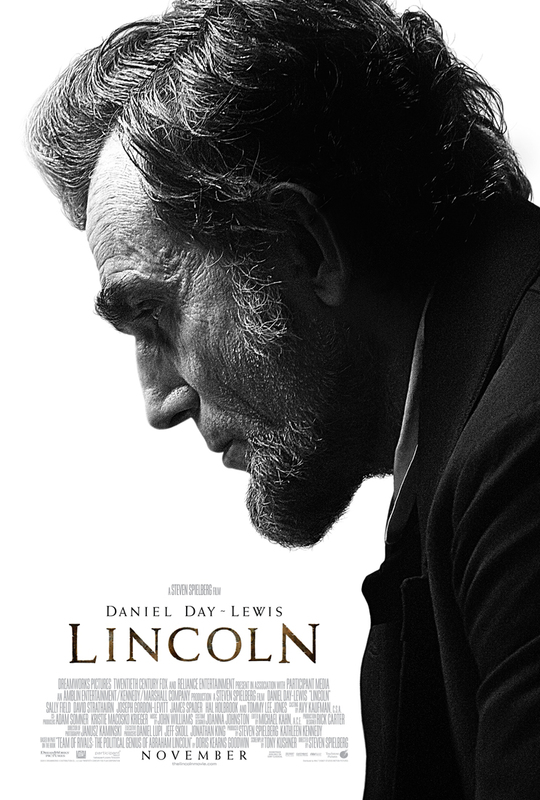 By the end of the film, I was agonizing over Lincoln’s fateful theater visit. The last shot of him walking down the hall, his back to the camera, made me feel like I was about to lose a great leader and dear friend. And then, in a creatively kind way, Spielberg avoided the opportunity to manipulate his audience by handling the end of Lincoln’s life with poignant discretion. This isn’t a movie that I would be tempted to watch several times over, but it is a solid piece of filmmaking that chronicles the actions of one of America’s greatest presidents. That alone makes it worth recommending.